Happy Tuesday, friends! I hope you all had a great weekend! I decided to spend some time relaxing, spending time with family, and a lot of cleaning. A few weekends ago, I had my holiday party for work and I had absolutely nothing to wear... yes, I'm serious! 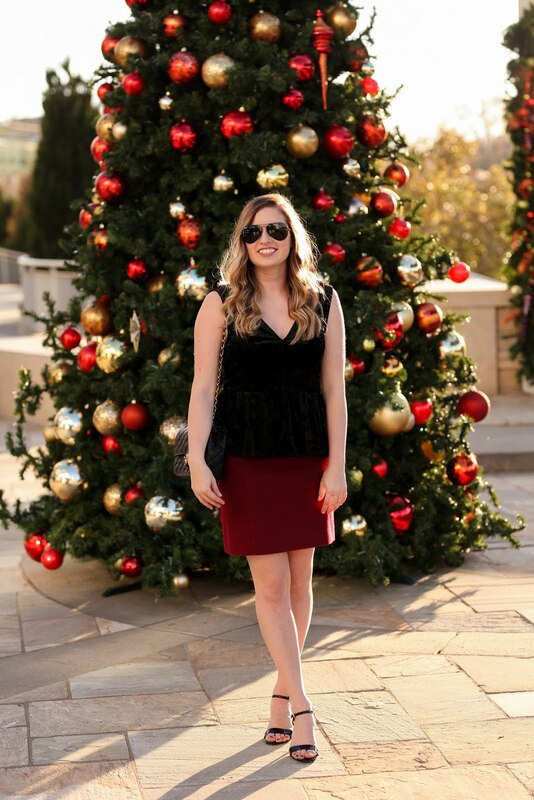 So, this sparked my idea for a post of some ideas for holiday party attire. And what's great is, it even works as a NYE outfit too! I personally, love skirts. I actually use this one as work wear too. J Crew Factory has a really great selection of skirts that are really versatile. And if you couldn't already tell from all of the advertisements and such, but, velvet is all of the rage. 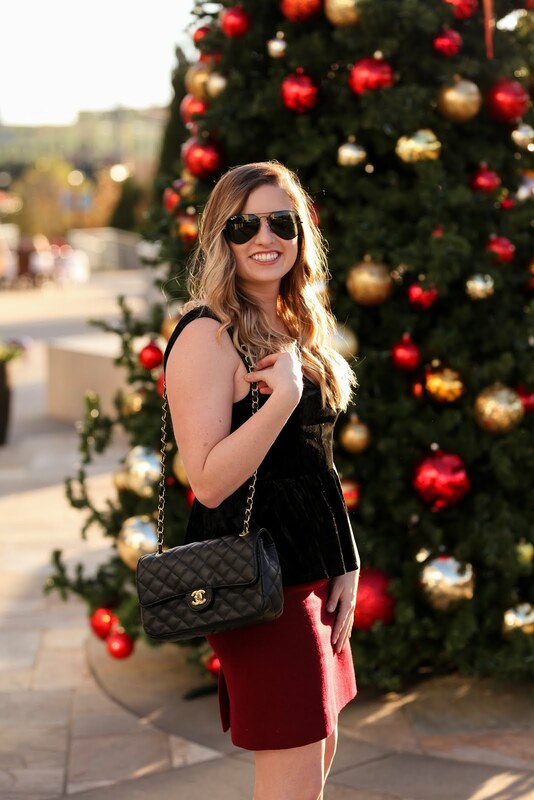 This cute little velvet top paired perfectly with it. The whole outfit was under $100. Funny back story behind these photos. 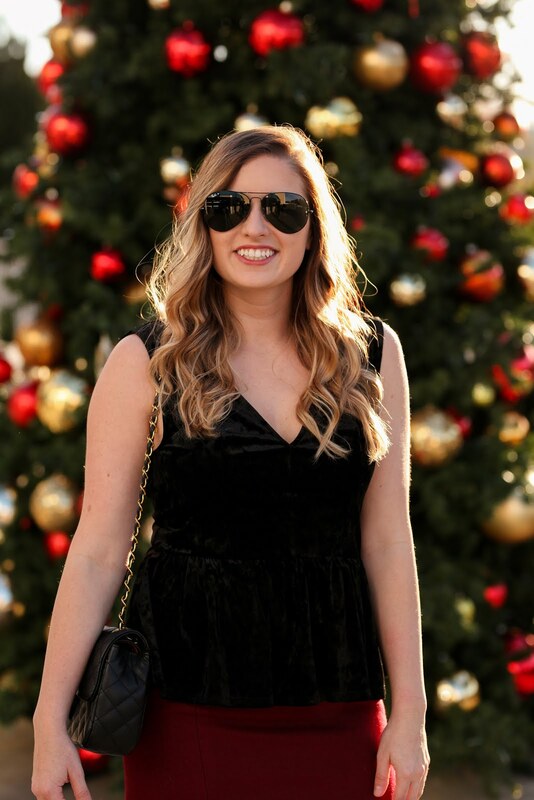 My photographer and I have had people tell us we aren't supposed to take picture in this area but we snuck around back to get some in front of the Christmas tree anyways. I think its the fastest we've ever shot a look and I could barely keep from laughing the whole time!